SiSoftware Sandra (the System ANalyser, Diagnostic and Reporting Assistant) is an information & diagnostic utility capable of benchmarking the performance of individual components inside a PC. Each of the benchmarks below were run a total of five times with the highest and lowest scores being discarded and an average being calculated from the remaining three. Everest is in many ways similar to Sisoft Sandra. Focusing mainly on software and hardware information reporting, Everest also comes with a benchmark utility suitable for testing the read, write and latency performance of the memory subsystem. Each of these benchmarks were performed a total of 5 times with the highest and lowest scores being discarded and an average calculated from the remaining three. 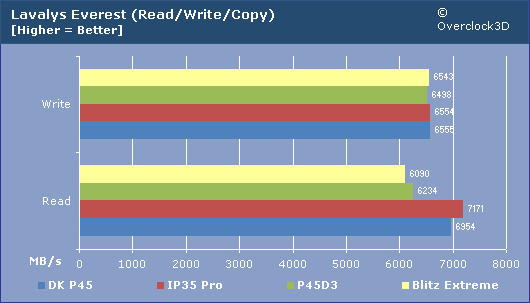 The results presented from the CPU and Memory benchmarks show some rather predictable results. The T2RS Plus keeps up with all the other boards tested, although it is slightly overshadowed by the IP35 Pro on the DDR2 front. The only real fluctuation between results that we can see is those boards which utilise DDR2 versus DDR3 memory. All I get from this tbh is there is absolutely no point in getting it if u have an IP35 Pro. Which in all honesty, including the other 2 mobos, is an absolute disgrace imo. It also has ALC885 sound.. which is pretty old afaik. I will say tho, for fear of sounding like a scratched record, I feel these 4 series Intel boards would probably perform better with newer cpus. 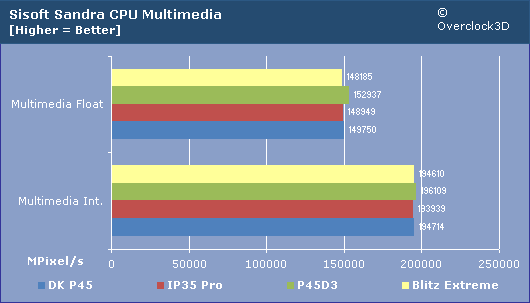 To be really honest, it`s plain to me that the mobo is less use than the IP35 Pro. 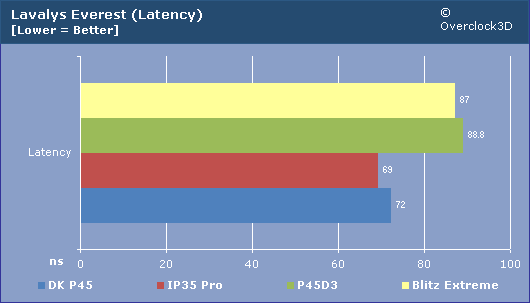 I have to wonder how it would cope against the IP35 Pro XE. So, rather than 18 months, it`d be that time PLUS before the Intel 35 chipset was released. I seriously don`t see the point in this board. For sure it`s a 35 mobo with a dropped in 45 chipset - purely on availablity I`d imagine.